No deals have been signed, but Apple has visited "several of the largest insurers in the market, as well as some smaller, venture-backed Medicare Advantage plans," CNBC said on Wednesday, citing multiple sources. The idea would be to reduce the cost of a Watch for people who can't justify the minimum $279 pricetag for last year's Series 3. The Series 4 starts at $399. 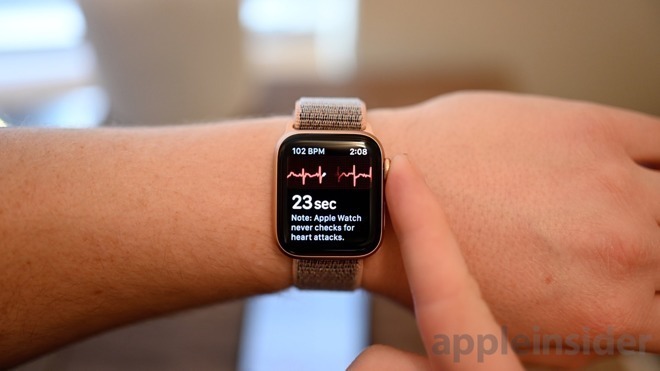 While the Watch is more expensive than other fitness trackers, insurance executives told CNBC that they're willing to work with Apple if it can show that the product can prevent costly medical treatments. "Avoiding one emergency room visit would more than pay for the device," commented Bright Health CEO Bob Sheehy. Apple has already made pacts with U.S. insurers outside of Medicare, for instance signing a 2016 deal with Aetna giving Watch discounts to the latter's workers and customers. Life insurer John Hancock began offering the Watch to memebers of its Vitality program in 2017, and in November 2018 UnitedHealthcare started offering the Watch for free to people who meet daily fitness goals for six months.